Dr. Charles Gauger opened the Norway Veterinary Hospital in 1964 as a full service hospital, caring for farm animals, horses and pets. His goal was to provide a high standard of veterinary care and personalized service to the community of Southwestern Maine. As the practice thrived, it outgrew the original Crescent Street facility. Ground was broken for a more contemporary facility at our current location on Main Street in the early 1970's. Over the years, as science and medicine rapidly progressed, Dr Gauger decided to focus solely on small animal medicine. Dr. Todd Gauger joined the practice in 1988 and purchased the practice in 2003. For more information on Dr. Todd Gauger, please see the 'Meet the Doctors' page. We have recently expanded and remodeled to further accommodate our growing practice. We offer a beautiful and relaxing setting in which we aim to provide superior medical and surgical care in a gentle and efficient manner. 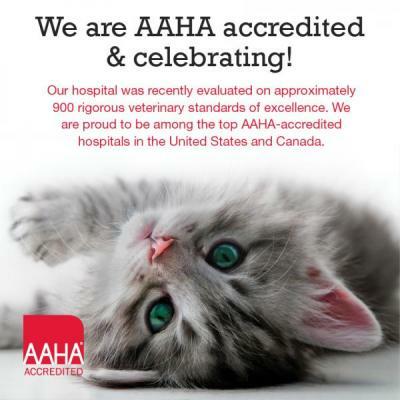 Our team of veterinary professionals and staff consists of highly qualified individuals who strive to keep you informed of the latest preventative health care and treatment options available. We have a number of resources for you to learn about how to take better care of your pets. Browse around and look at our articles and pet videos. The best veterinary care for animals is ongoing nutrition and problem prevention. If you want to ask a question call 207-743-6384 or email us and we'll promptly get back to you. Our office is very easy to get to, and you can find directions on our Contact Us page. You can also subscribe to our newsletter which is created especially for our pet owners. In between your veterinary visits, your pet will benefit from you reading these free informative articles. At Norway Veterinary Hospital, we treat your pets like the valued family members they are. "Best vet experience ever! Thank you for being, pleasant, clean, fairly priced, exceedingly calm and understanding and taking soooo much time with us. Your expertise is remarkable and we are grateful!"